By focusing on nothing short of excellence, our operations team consists of a strong unit of servant leaders who lives to serve with a passion that drives amazing results towards the success of both our VAs and our Clients. 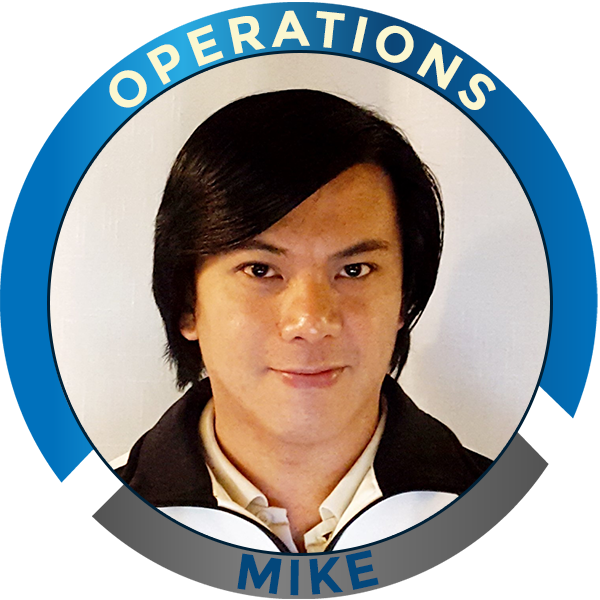 Mike has been a BPO professional since 2002 and has managed a variety of teams in different companies, LOBs, and verticals for more than a decade. He is also an entrepreneur and is involved in the food business. He is a fast-paced individual, expert in outlier management, performance improvement, training, people development, and coaching. Co-employees would describe him as an advocate of talent development and process improvement. He values integrity and servant leadership and also firmly believes in enabling people to succeed in meeting goals and objectives. In REVA, as his second home, Mike consistently takes steps to incrementally level-up himself and his teams, championing a well-structured workplace and culture of continuous improvement. Outside of work, he considers himself an artist, musician, and a flick-geek in his own right. He finds no shame in his unread books collecting dust at the moment. 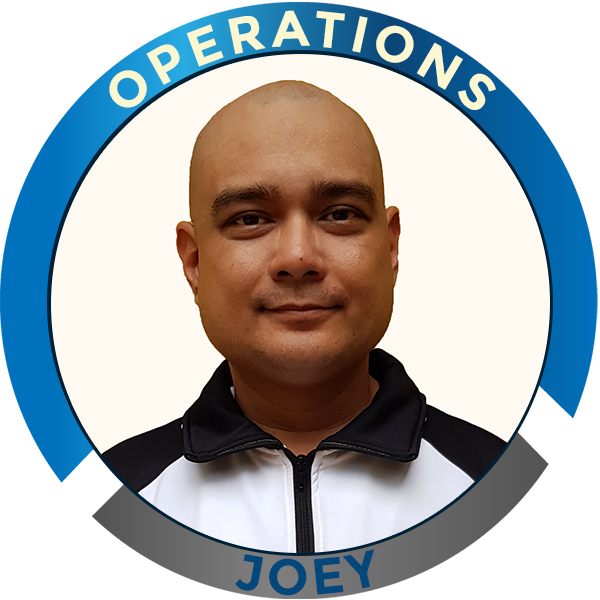 Joey Arnaiz has been a sales, business development and training professional for close to 20 years. His area of expertise is in solutions selling and has built a career in sharing his knowledge and experiences to aspiring professionals. He has mentored dozens of industry leaders allowing them to excel in their chosen fields. Before joining REVA Global, he was the Director of Sales and Monetization for an international advertising company focused on IT solutions. He was also a professional musician, arranger, and songwriter who has worked with some of the top national and international artists. He has been working with Bob Lachance for more than 4 years realizing the dream of creating a premier virtual assistant company.  He has also handled multiple departments in the company such as recruitment, human resources, training, and operations before settling down in training to mold virtual assistants and trainers into partners who will help take the company to higher levels. 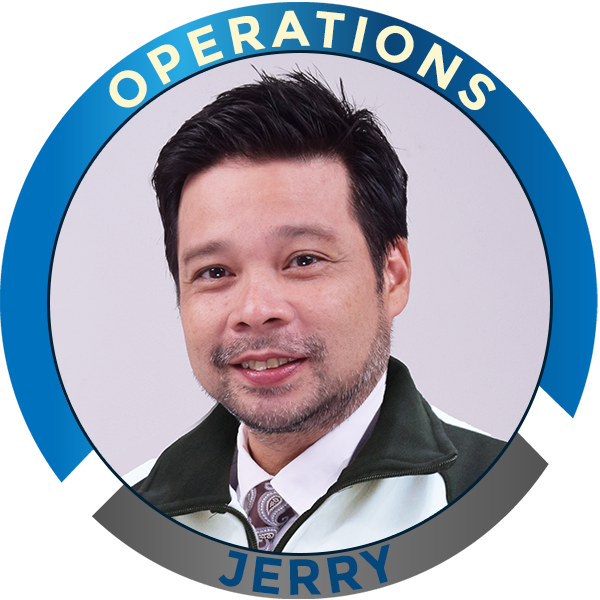 Jerry comes to REVA Global with a diverse background in sales, sales training, and operational management. He is a graduate of the prestigious Art Center College of Design, Pasadena with a BFA in Advertising Design. While still in school, worked as an Art Director in Downtown Los Angeles on accounts such as McDonald’s and Toyota. The one lesson he took away from his education is “always think laterally” – most people call it “out of the box”. His sales background started with cars- Mercedes Benz. With a successful 2 year run at sellinghighline vehicles, Jerry was pulled into the mortgage business by one his Mercedes Benz clients who partnered with him to create and eventually manage an internet sales department for a Long Beach, CA mortgage brokerage. Over a 6 year period, and over $30M in completed loans later, he had amassed a wide range of real estate partnerships and knowledge which he now brings to REVA Global. Jerry moved to the Philippines in 2010 to manufacture and distribute items he had invented and patented. Admittedly, he was to find out he was not suited, nor prepared, to own and operate an international business. So he took his talents to the BPO industry and grew in the ranks quite quickly. Within 9 months, almost single-handedly, by creating sales seminars, scripts, and coaching programs, the largest internet provider in the States saw sales increase by 300% for the Makati, Manila site- which was #1 for all international BPO sites. He was most recently the Senior Account manager of an online digital marketing agency where he was tasked with being the point of contact for the majority of the clients. As a lead marketing strategist, Jerry also was essential to invoicing and accounting, project management and customer service. Light-hearted in nature and bit comedic at times, Jerry brings an enthusiasm and energy which permeates a room. With his vast skill set, sales experience, and real estate background, we are happy to introduce our newest Operations Manager. 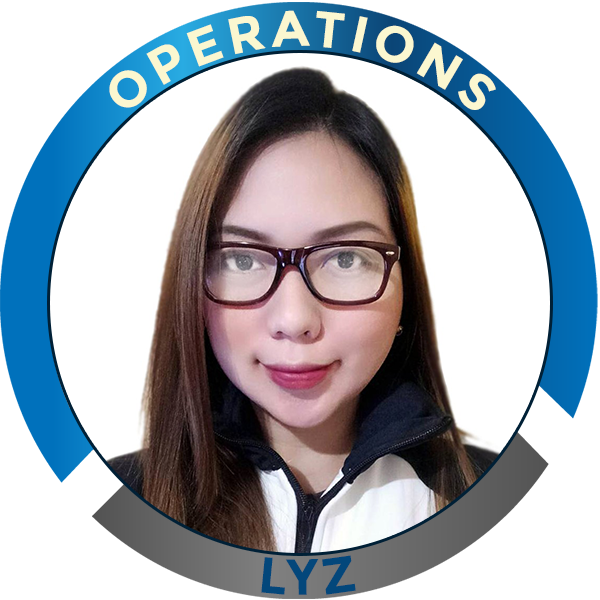 Lyz Rosales has been in the Business Process Outsourcing for around 10 years handling various accounts, campaigns, and projects. She specialized in global customer service, technical resolutions, client and project management. She was also a business development professional for a Philippine-based recruitment firm. In 2015, she joined a company that would later be known as REVA Global LLC as a virtual assistant. After just a few months, her abilities became very evident that she was offered a spot in the support team working in most of the company’s departments such as training, human resources, and recruitment. In 2017, she was asked to join the operations team as a business coach and later promoted to a Junior Operations Manager supporting Business Implementation, Social Media Presence, and Placements. As one of our most tenured support personnel, she develops and mentors some of our newer support members to help hone their capabilities ultimately creating a stronger and better REVA Global family. Duane Bernardo is one of the Business Coaches at REVA Global LLC. Although he is new to the real estate investing industry, his training with REVA Global along with the skill sets he has acquired as a Business Process Outsourcing (BPO) professional for 14 years has more than equipped him to be an effective Business Coach. Having worked in the BPO industry as an Operations Manager for nearly ten years, Duane brings with him a wealth of experience in people management, process improvement, problem-solving and client servicing. Duane currently works with more than 25 clients and VAs. In his role, he helps create an environment where the client’s satisfaction is met by ensuring the VA’s productivity and effectiveness, and that the VA’s are highly motivated and enjoying their job. Chi started her career in REVA as a Business Coach through Batch 57 last March 19, 2018. Immediately after training, due to her strong leadership presence and training performance, she was tasked to handle an LOB in May. 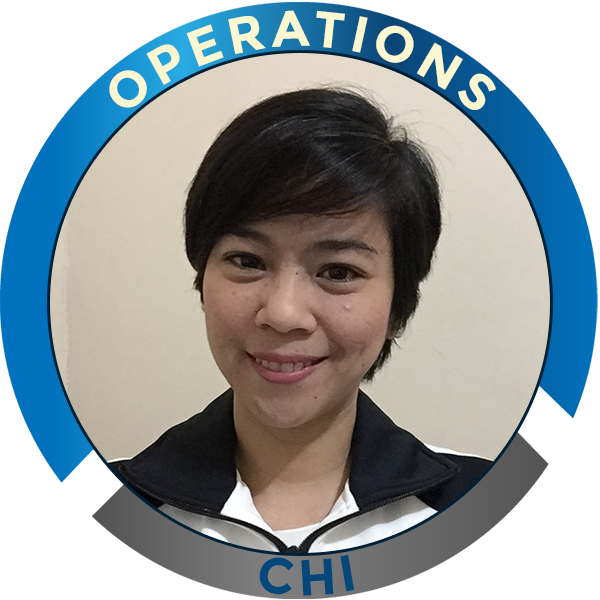 Chi proved to be on top of her game when she created processes and streamlined the LOB’s operation, delivering strong Property Management core in REVA Global. Chi is a veteran in the Business Process Outsourcing industry. With almost 16 years of strong operational experience, she’s able to effectively transition to home-based work through REVA Global. She started as a Technical & Customer Support Representative from December 2002 and worked her way up as a Quality Associate, Team Leader up to the Operations Management position until she left Q1 of 2018. Chi has partnered with international brands such as Microsoft, AT&T, Emerson, and Virgin Mobile Australia to name a few under two of the top BPOs in the country. Outside REVA Global, Chi is fond of discovering things that will let her empty her cup and take on new learning. She is not troubled going outside her comfort zone and as long as her ‘myBumbum‘ playlist plays while she’s in action. 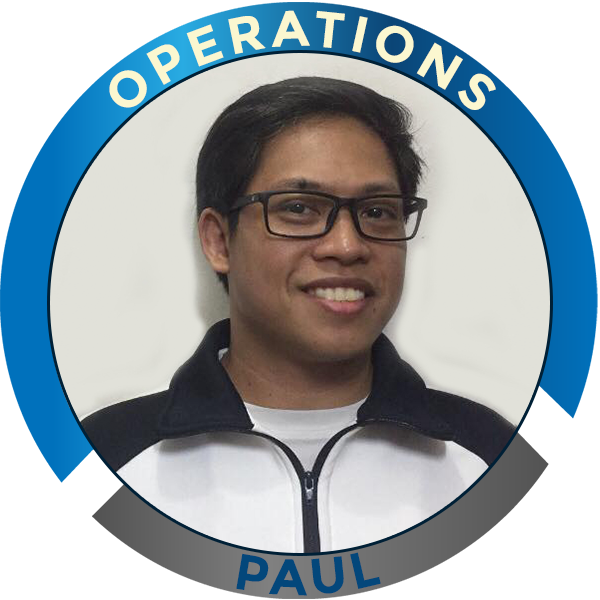 Paul Robles is a veteran BPO (Business Process Outsourcing) leader in the Philippines and has been in management roles with renowned BPO Companies since 2003. Paul is an entrepreneur by nature, which he has been practicing as an owner and partner since the year 2000, actively he and his wife operate a Martial Arts studio and as a result of their passion for Martial Arts and dedication to their community, their studio was selected to be featured by several national TV shows. Paul is passionate in both his profession as a real estate business coach to his virtual assistants and investor clients and a role model to his community by being a Martial Arts coach to kids, teens, adults and aspiring professional and amateur fighters. 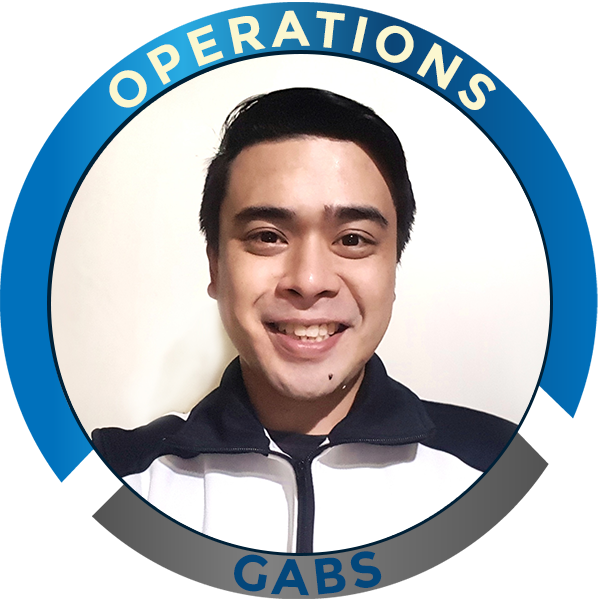 Gabriel Amisola is part of our Operations Team. He has been with the corporate industry since 2009 and his field of expertise is in Sourcing and Recruitment. He has worked with various multinational companies and has also spent 3 years as a Sales Director for a top real estate company in the Philippines. He has proven himself to become an asset to the company and had taken the challenge of becoming a Business Coach. He is a graduate of Psychology from the University of Santo Tomas and he did his Post Graduate studies in Industrial and Organizational Psychology at De La Salle University. Gabriel has been a fight sports enthusiast and practitioner since 2001. He loves physical activities during his free time and traveling to various places. Marlo Torres was born in the Philippines and relocated to Southern California when he was 5 years old. Being part of a Military family allowed him to live in different areas such as Long Beach CA, Hawaii, Guam, then Corpus Christi TX, where he graduated College at Alvin Community College, Majoring in Economics. After Graduating, he started studying through Self-help on Stock Options trading, and basic Real Estate, where he learned how to trade on a low-level Market. He did that for a few years, before establishing himself as a self-made entrepreneur, dabbling in the Tattoo business, Day-trading, as well as T-shirt printing and Logo Designing. Come 2012, he moved back to the Philippines to take care of his mother, who was getting older and ill more frequently with nobody to watch over her, and here he stayed and made his land of birth his home again. Being that his main pro was speaking English and understanding the United States Culture, made him an ideal candidate for the call center, where he worked for three different companies, and in each learning more about fast pace learning of accounts and processes. He eventually was promoted to Team Leader in November 2015. There he perfected his Leadership skills and communication skills. Within his tenure-ship he was able to Promote 2 Team Leaders, 1 communications trainer, 2 Product trainers, and 9 Subject Matters Experts, all coming from his team and Leadership, Which made him the Top team Leader for Six quarters within his short span of 2 1/2- 3 yrs, He was given the opportunity to be a Jr. Operations Manager. In which he declined due to Management differences, He then heard through a good friend a work-at-home position through REVA Global. He was amazed by the Culture. And here he’s been ever since. 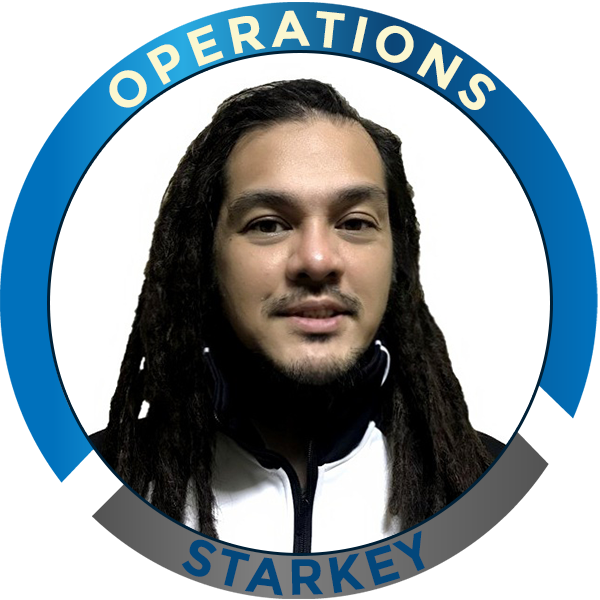 Starkey Apilado joined the Company as a Virtual Assistant last February 2018. He’s been promoted October of the same year and has since been part of Operations’ Support Team as a Business Coach. A strong believer of “servant leadership”, he continuously learns on how to focus on serving his teammates for their own good, not just the good of the organization, and forming long-term relationships with them. He puts on a conscious effort to encourage their growth and development so that over time they may reach their fullest potential. A loud and proud Green Archer, Starkey graduated with a Bachelor’s Degree in Business Administration and majored in Computer Applications. 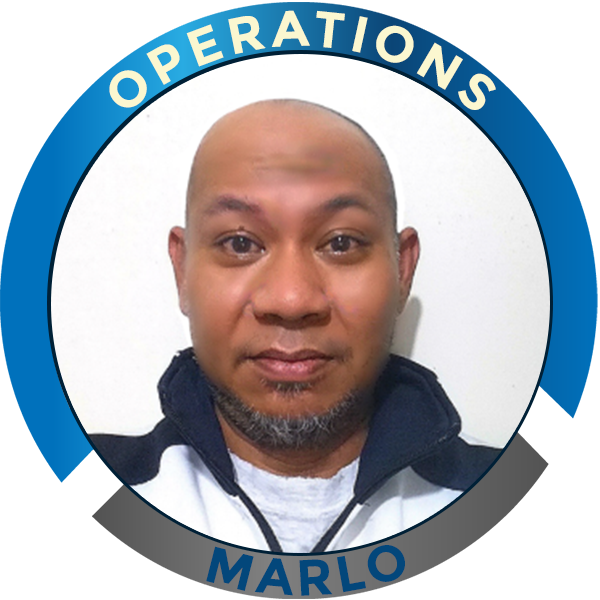 After tertiary studies, he joined the BPO industry and worked corporate for more than a decade for an American multinational computer technology company based in Round Rock, Texas managing their Technical Support Team. Outside of work, being based in the country’s Queen City Of The South, Starkey enjoys the island vibe and spends as much time as possible in beaches with his headphones blasting songs from his Ska, Reggae and Rocksteady playlists. He’s also a long-distance runner and an ultra-marathoner (finisher of several 102 and 160-kilometer races) who likes to drown himself with black coffee instead of sports drinks. 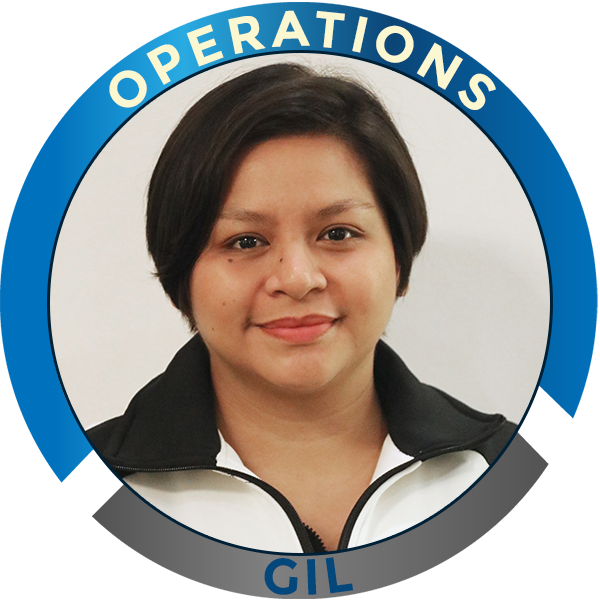 Gil has been in the Business Process Outsource industry for almost 14 years. She was an agent for a Travel Account and eventually a Supervisor and to many other Lines of Businesses such as Travel, Banking and Financial, Airline Account, Internet Service Provider and Technical Support. She was also an Operations Manager; she eventually joined REVA Global as a Business Coach. She is part of the LOB team for REVA Global, along with 2 other support members. Gil is married to a singer/songwriter/BPO employee. They have two kids together, Lucas (turning 4 years old) and Matteo (4 months old). They both love to travel with their kids. They dream of putting up their own music production and clothing line someday. 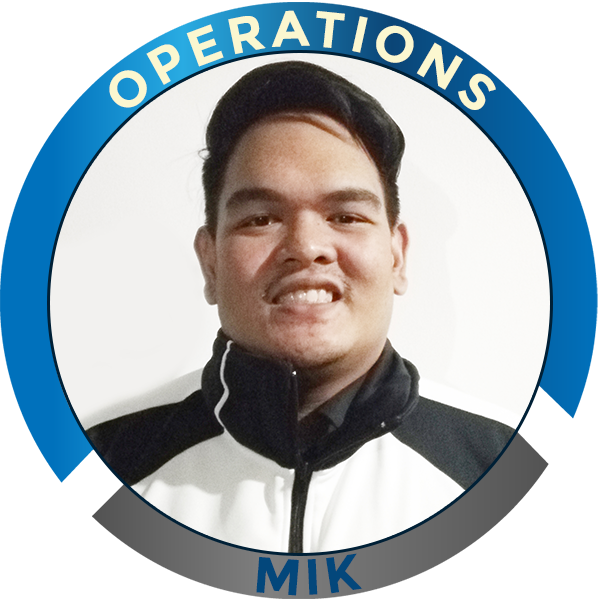 Mik Bondad has recently risen from the ranks to be a Business Coach. He started as a Virtual Assistant in 2017. He quickly came into terms with the ins and outs of the business and mastered the craft. He is very well versed in cold calling seller leads and has always been consistent with the quality of his work. Constantly providing rock star results as a VA.
Mik has been sought out to mentor new VAs in his line of business. Ensuring that we are setting them up for success in the role they are in. Regarded as one of the knowledgeable persons on his line of business not only by new hires and also by his old peers. Before becoming a VA for Reva Global, He used to work as a BPO Professional for more than 5 years. Handling various accounts mostly business to business ranging from financial to hotel accommodations accounts. 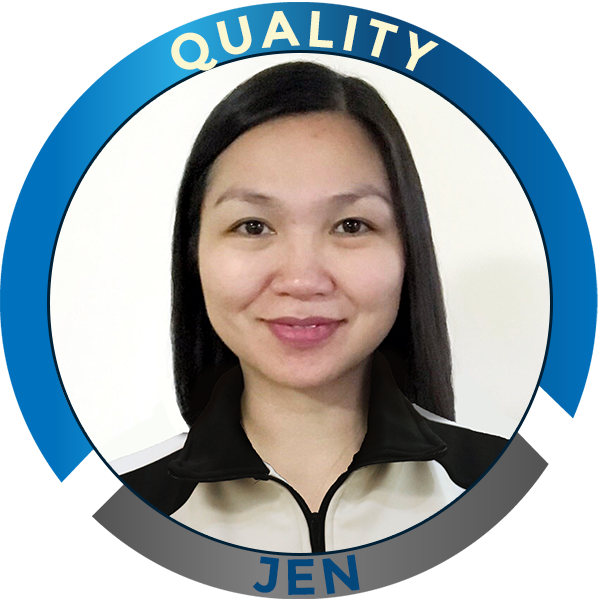 Jen has been in the Business Process Outsourcing industry since 2003. She started as an outbound agent for a publishing company then shifted to customer service for US, UK, and Australian clients. After 4 years and proving her worth as an agent for both outbound and inbound campaigns alike, she got promoted as a Quality Assurance Specialist. She’s been with the Quality department ever since and eventually became a Quality Manager for a US-based satellite radio and telecommunications programs. Some of her tasks included representing the department in critical meetings both within the organization and with clients, developing processes to drive continuous improvement and reduce defect rates, as well as the implementation of standardized quality practices. Although a rookie in Telecommuting, she’s confident that her extensive experience in Quality will be a great asset to REVA. Jen spends most of her free time with her husband and their 5 kids, as well as her month-old grandson. She loves spending quality time with them by traveling, eating out or simply hanging out. When she’s got time to spare, she enjoys binge-watching on Netflix.